Our skilled roofing contractors offer all types of roofing services to Cape Cod homeowners – from roofing repairs, roofing maintenance, and replacement roofing, to complete new roofing installations. We only use top quality roofing products and make sure your roofing project is completed to perfection, ensuring that your investment produces long-lasting results that protect your home from the New England elements and add value to your Massachusetts home. Our licensed and insured Martha's roofing contractors will always use drop cloths around the work area to protect your property, and will remove and dispose of old roofing materials. We always clean up the work area after each day's work, and at the completion of the roofing job. In many cases, a small roof section may need to be repaired, and installation of an entire new roof is unnecessary. Roof repair saves the homeowner money, while correcting the problem. Our experienced roofing contractors can inspect your roof and offer the most cost-effective and best roofing repair solution. The roof is leaking due to poor workmanship – (this accounts for the majority of roof leaks). Improper installation of roof shingles can lead to "slow leaks" that take years to materialize, and can result in water damage, mold build-up, rotted wood, structural damage, and other problems. Other issues such as leaking skylights, using faulty roofing materials during construction, poorly designed roofs, etc. Regular roof inspections and basic roof maintenance will help discover small problems before they become major, expensive roofing problems. Preventative roof maintenance will fix damaged shingles, flashing, rotted wood, and other problems, and will ensure that your roof is structurally sound. The condition of your roof is not only a key component of your home's value, but your roof protects your family and your home possessions. If your roofing is very old or severely damaged, replacing the roof is the only viable option. We can remove your old roof and properly dispose of the damaged roofing materials. 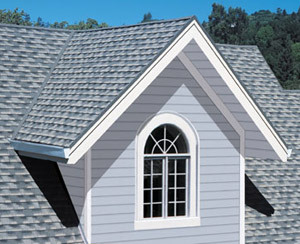 We can discuss roofing product options with you, and provide an estimate for the cost of the replacement roof project. Roof replacement is an excellent long-term investment that is one of the most important factors in the value of your home. With proper maintenance and care, your new roof can last 20-30 years, or even longer. A well-installed replacement roof can also help your home's energy efficiency and lower your monthly heating and cooling bills. 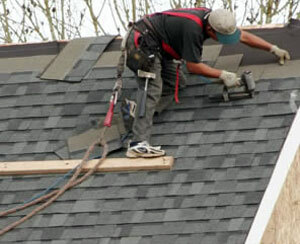 Our licensed and insured roofing contractors can also help you plan your options for new roofing. Give us a call!